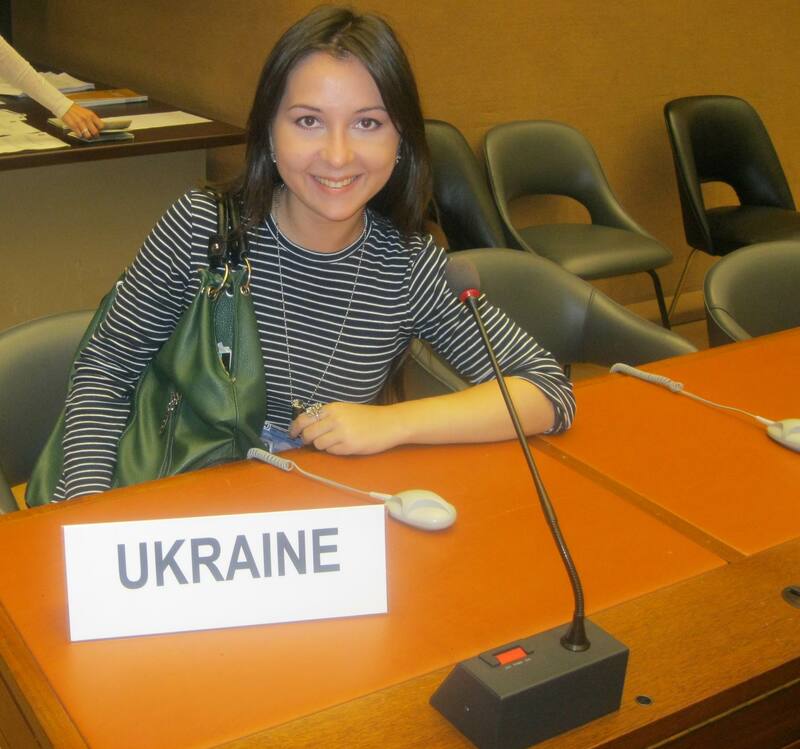 First of all I want to present myself: my name’s Juliia Torchynska and I am World YWCA short-term intern from YWCA of Ukraine. That’s why I came to Geneva to take part in the World YWCA participation in the Human rights Council – 20thSession from 18 June to 6 July, 2012. Despite the fact that I wrote in the title “through the eyes of newcomer” I want this blog to be very useful and informative for everybody who wants to know more about HRC, YWCA’s involvement in UN HRC sessions, women’s human rights, new resolutions on violence against women, mechanisms and ways to be heard and to have power to change. Can you imagine the room where the representatives of different countries gather together to discuss problems of current interest? And can you imagine better opportunity for YWCA and other NGOs to mention women’s problems and needs, make them visible in order to influence and help the governments to make the right decisions concerning remedies for women survivors of conflict situations? I want to say that we really had such an opportunity and tried to do our best to increase YWCA’s contribution to global accountability for the human rights of women step by step. As I promised everything in this article will be clear I want to talk about these steps in more details. Step 1. As you know or may not Permanent mission of Canada proposes their vision of resolution on the elimination of violence against women. Manon Boisclair, Second Secretary Human Rights, Permanent Mission of Canada, presented the draft resolution created to the requests input from NGOs. – to mention the necessity of women’s equitable participation in judicial system. Step 3. In the same day the informal consultation on the resolution on the elimination of violence against women was organised for UN members, and NGOs got the opportunity to speak and to share their recommendations. In my opinion this fact was the first very pleasant and important opportunity for us and the second one was that we spoke not only to Canadian mission as the author of the resolution but to all UN members and we were heard in spite of some countries’ reluctance. As for me it was like the first women’s win during this HRC because it’s only the third day of HRC 20th session and a lot of opportunities lie ahead of us. Finally I want to quote Margaret Sanger: “Woman must not accept; she must challenge. She must not be awed by that which has been built up around her; she must reverence that woman in her which struggles for expression”. So never stop to listen to the woman inside you because she really has the power to do everything.